Research has shown that men leave a larger carbon footprint and conduct less environmentally friendly behaviors than women. 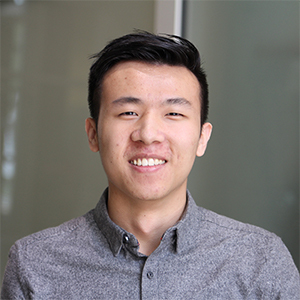 Jieming (Lewis) Li believes that it is essential to investigate potential interventions to this problem as well as their mechanisms. The objective of Li's project is to contrast the self-affirmation method to the credentialing one which, despite its effectiveness, was misleadingly worded as "self-affirmation" in the previous study. The final result will further the understanding of these two interventional methodologies in the context of gender stereotypes in environmentalism. Li's goal is not only to clarify the psychology of mind behind these two interventions, but also to motivate people in saving the environment throughout their everyday lives, especially those who are potentially hindered by masculinity stereotypes and conformity to gender norms. Li was a student in Assistant Professor of Psychology Kody Manke's social psychology class when he first learned about the structural knowledge of stereotypes and gender. Since then, Li has been attracted to the problem of stereotypes and how to solve them. Last summer, he worked with Elliot Collins, a Ph.D. candidate in the Department of Psychology, on human visual perception research involving the parietal lobe and electroencephalography, the measurement of electrical activity in different parts of the brain. This experience provided Li with valuable experience on how to conduct research involving human participants.